Photo Gallery of Red Wing Boots and Shoes! When it comes to boots, our pictures are worth a thousand words! 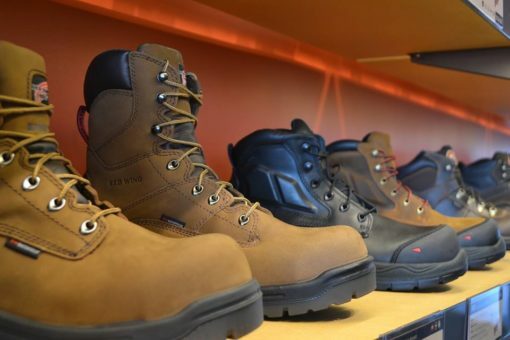 Enjoy our photo gallery below, which includes compilation of the types of boots we carry, our three Red Wing Richmond stores, and our Industrial Sales/Safety Footwear division! Please contact Red Wing Richmond online, call us at any of our three Richmond Red Wing Shoes locations…or better yet, just come talk to us in person! Thanks for your interest. We look forward to the opportunity to serve you.